Prior to being bought by Amaris Hospitability, Jurys Inn operated at 21 UK provincial hotels, four London hotels, five hotels in Ireland and one in Prague. The brand was extended to a further eight properties in the UK and it employs over 2,000 people. Amaris Hospitality consists of 73 hotels which comprises of 13,000 rooms and more than 5,000 staff. Amaris is broken into three operating divisions. It has five hotels in Ireland and one Jurys Inn in the Czech Republic. Thirty hotels operate under the French brand, Accor. The remaining seven hotels comprise Amaris’ international division, operating under global brands such as Hilton Garden Inn and Doubletree by Hilton. When Jurys Inn made the decision to enhance its security by installing an access control system for staff & contractors, they chose TDS to advise and carry out the project. A secure access control system that integrated with time & attendance was required by Jurys Inn to fulfil their security requirements. As part of their specific security requirements, the hotel chain needed a system that could be deployed at a rapid speed across its 36 locations in Ireland, UK and the Czech Republic. The solution, TDS Access, provides Jurys Inn with the ability to integrate with existing systems and encompasses all aspects of security. They also required the ability to assign a variety of access roles to match based on individuals staff permissions. The TDS Access solution keeps some areas off limits to certain staff & guests whilst granting access to others. This delicate balance is only possible with a professionally designed software solution which allows for customisation for industry specific requirements. 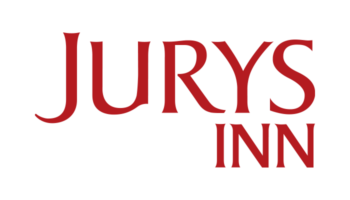 Jurys Inn wanted a system that would provide them with an accurate collection of hours worked by employees for generating payroll, operational planning and legislative compliance. With variable start and finish times of shifts, they needed time and attendance hardware to integrate with current HR system to accurately track hours. As such, TDS Workforce was deployed to cater for time & attendance requirements. The access solution offered by TDS allows security management to have full control of who can access what, when and where in real-time and allows security staff to renew, assign and revoke permissions within a centralised management platform, Security goes hand in hand with operational efficiency and Jurys Inn selected TDS Access to prepare themselves for the future. TDS offers an innovative access control solution designed to create a secure working environment for Jurys Inn group. The solution takes into account the specific requirements of the hotel industry and has been tailored to meet the unique requirements of Jurys Inn.